Never heard of Thyago Vieira? That's OK. Until the 2016 season, he was a failed hard-throwing pitching prospect. But with polished mechanics and a slider to complement his triple-digit fastball, he's become the Mariners' top relief prospect going into next season. PEORIA, Ariz. — The question elicited similar reactions and answers from his various teammates. Ask a fellow pitcher in the Mariners organization. How about Mariners’ director of player development Andy McKay? Never heard of Vieira? Don’t question your baseball knowledge or fandom. 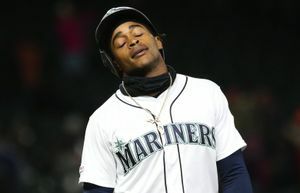 Until this past season, he was just another guy in the Mariners’ organization — a pitcher with some talent, armed with only a blazing fastball and minimal intuition on where it might go once it left his hand. But after a transformative 2016 season that earned him a trip to the prestigious Arizona Fall League, where he flashed a fastball that hit 103 mph on multiple occasions, and a spot on the 40-man roster, Vieira could follow the path of fellow relievers Edwin Diaz and Dan Altavilla and make the accelerated midseason move to the Major Leagues. He is the best and hardest-throwing relief prospect in the organization. Standing in the MLB clubhouse of the Mariners’ spring training complex in Peoria — a place he’ll be when pitchers and catchers report on Feb. 14 — Vieira thought about how much had changed in the previous eighth months of baseball. It was a season that almost didn’t happen with the Mariners. Coming into spring training, Vieira was 23 and had never pitched above the Low-A level in five seasons in the organization. Signed as non-drafted free agent out of Sao Paulo, Brazil in 2010, he had two non-descript seasons in the Venezuelan Summer League, a decent year with Short-season Everett, posting a 3.84 ERA as a starter and then two forgettable seasons with Class A Clinton as a reliever. He had trouble staying healthy and throwing strikes. General manager Jerry Dipoto admitted that the organization considered just moving on from Vieira and adding him to the list of a handful players that were released before the season. 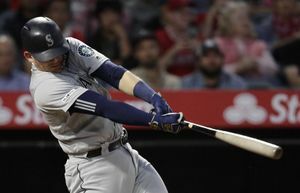 “In spring training, there was a question as to whether he was going to make a team or not based on his age and general performance history,” Dipoto said. Fortunately for the organization, they decided to take one more chance on Vieira. It didn’t hurt that he still had a fastball that sat at 99 mph and could touch 102 mph. Katz was a newcomer to the Mariners’ organization and slated to be the pitching coach for Class A Bakersfield. But he was familiar to Dipoto having worked as a pitching coach in the Angels minor league system from 2013-2014. He also served as pitching coach for the LaCrosse Loggers in the Northwoods League for two seasons with McKay as the manager. Vieira became Katz’s special project. Katz knew plenty of other coaches had failed in harnessing Vieira’s raw alent and wild mechanics. But he believed in his process. With his career following a similar path of one of his wayward fastballs, Vieira understood he was running out of opportunities. But the goal for Katz wasn’t just to clean up Vieira’s mechanics to throw more strikes with his triple-digit fastball. No, he needed a viable breaking ball as a second pitch. Vieira technically had a slider in his repertoire. But it wasn’t very effective or thrown very often. The progression of Vieira’s slider was a product of the adjustments to his mechanics. The duo put in daily work all spring. After holding Vieira back at extended spring training for a few extra weeks, he was sent to join Katz in Bakersfield. The process continued. The progress wasn’t immediate. The success was incremental. The forced usage of the slider resulted in increased comfort with each outing. Knowing that successes were important verification for the work and the changes, Katz was careful with the situations he brought Vieira in to pitch. Even in the soft-landing situations, Vieira still had a few shaky moments where the control disappeared. But after seven straight appearances without allowing an earned run in mid-June, where he pitched nine total innings, striking out 12 and walking four, it was time remove the training wheels. They had to see Vieira’s polished mechanics and newfound slider in high leverage situations to see if the success was real and repeatable. It came on June 28 at San Jose. Brought in for a save situation, trying to protect a 3-2 lead in the bottom of the ninth, Vieira dominated in a quick 1-2-3 inning. Over his next 20 appearances, Vieira posted a 1.35 ERA with seven saves. In 26 1/3 innings pitched, he struck out 36 batters and walked seven, holding hitters to a .179 batting average and a .414 on-base plus slugging percentage. And it’s been beneficial for Vieira and the Mariners. But Vieira was adamant in his praise. “I have to say thank you to the Mariners for giving me the opportunity to work with him,” he said. Dipoto credited both for the success. He now has a developing power relief prospect from a pitcher that was almost released. Could that happen this season? 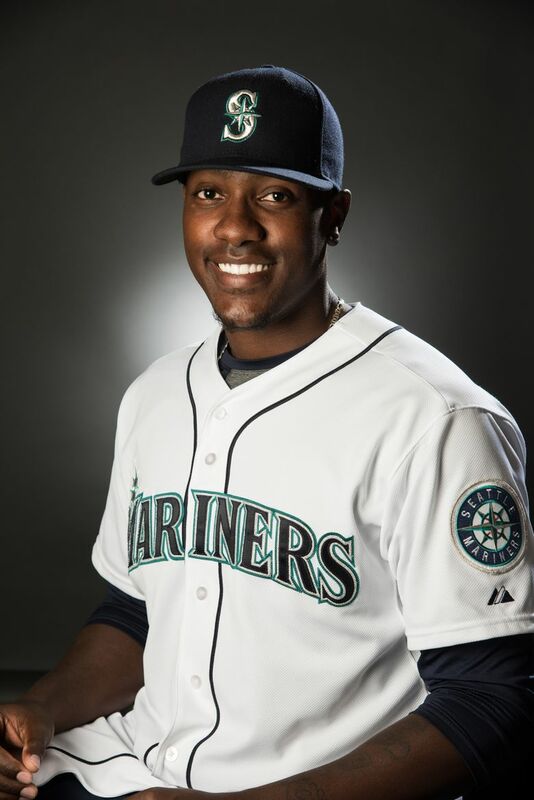 Could Vieira be another power arm in the Mariners’ bullpen to go with Diaz and Altavilla? Dipoto believes there’s a chance. “Coming to the big leagues fast is a dream,” Vieira said. 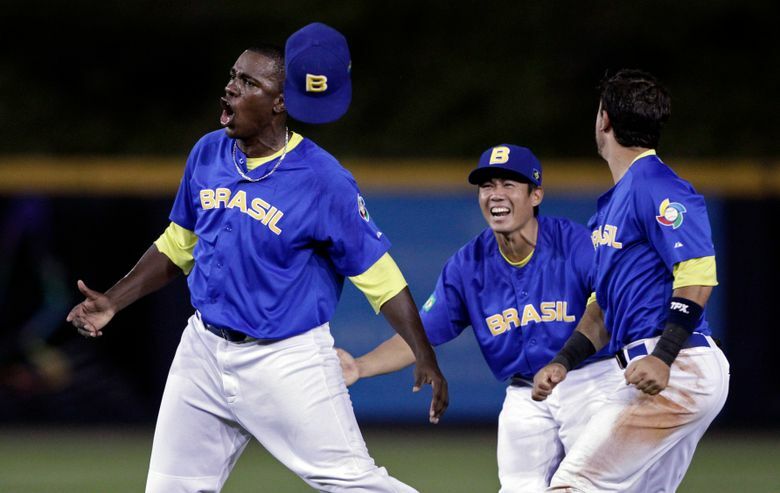 And then everyone will know what Thyago Vieira looks like throwing off the mound.